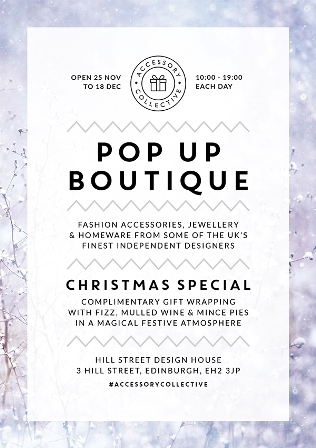 This year’s ‘Accessory Collective’ is happening at the Hill St Design House from the 25th to the 18th of December, 10am – 7pm. Chamber members are warmly invited to their opening night on Thursday 24th of November 6pm-8pm, so please join us for for a festive cocktail & a mince pie! We have some absolutely fantastic designers involved this year, from all over the UK & something for everyone!